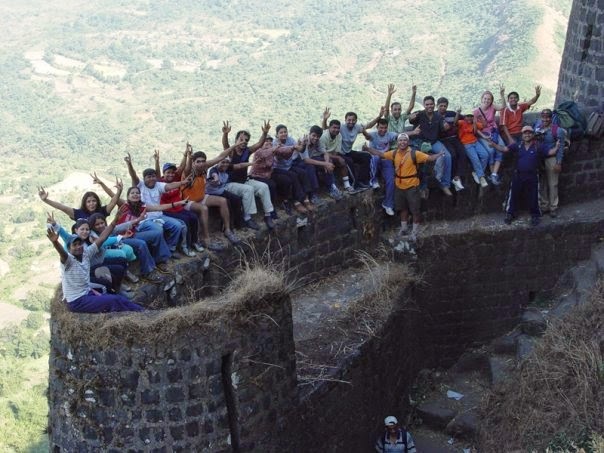 Team Building with Easy Trek to Summit Climbs. And we can make it more interesting..
(Involves – One hour to Two Hours one way approximately, depends on the collective team capability). Treks can be combined with geographical wide treasure hunt or obstacle course or Nature Walks or basic rock climbing and Easy Rappelling etc. More objectives can be combined by combining treks with other activities. At NatKCO we know that each customer requirement is unique and hence each activity / experience is bespoke (custom) designed to meet these unique deliverable. Important note: Executing Experiential Adventure Corporate Offsite requires team of experienced and qualified facilitators; adventure professional. Safety equipments meeting safety standards are essential. Its worth partnering with the right Corporate Offsite Specialist company for your employee engagement program as your offsite objectives; safety of employees; money and time are very precious.